If you're looking for that perfect bright peach and pink coloured bouquet to gift to a friend or loved one, this is the perfect bouquet for that! Our expert florists have created this Peach Paradise bouquet that will impress anyone who sees. 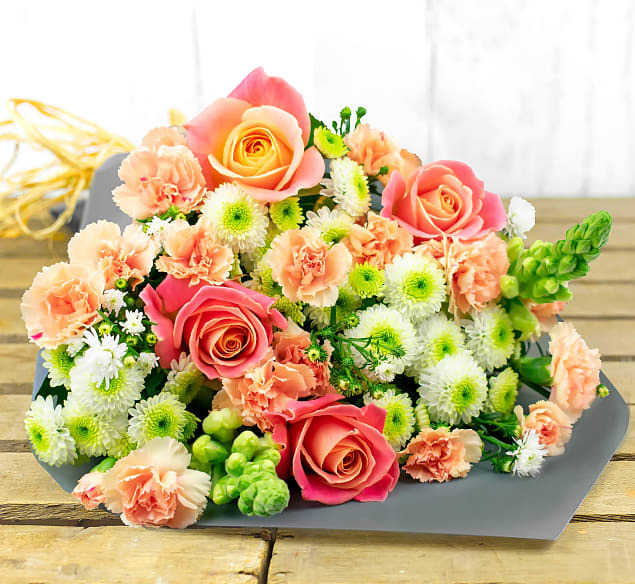 Our expert florists decided to create this wild country bouquet with a variety of stunning blooms like Dutch Coral Roses, Peach spray carnations, Snapdragons and Thlaspi. 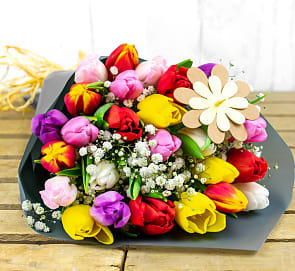 This bouquet would make the perfect gift for birthdays, anniversaries and any other occasions.